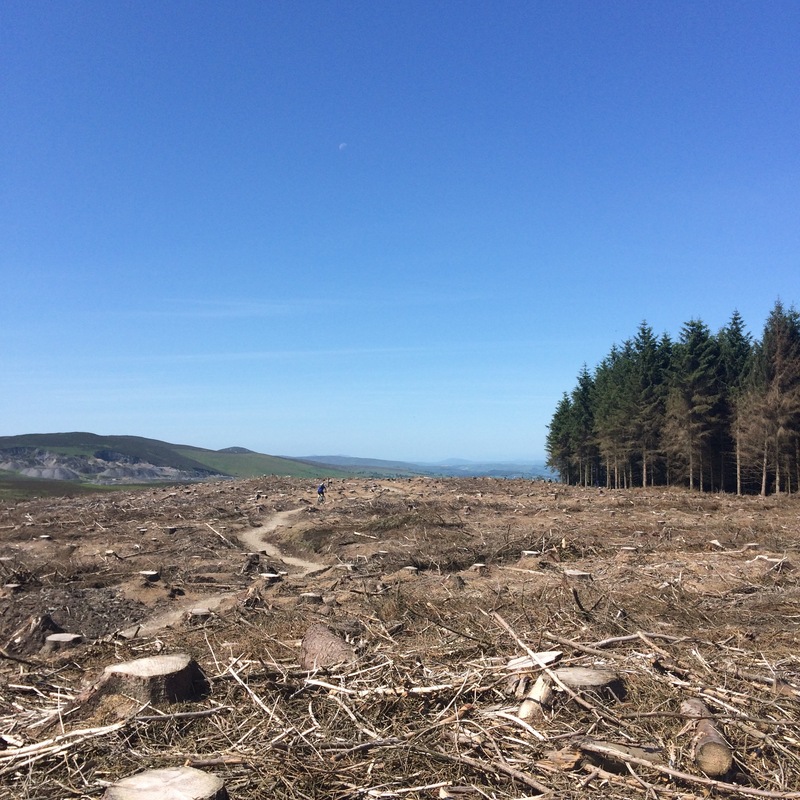 Where did all of the trees go? So those bikes with spongy forks and knobbly tyres do still exist. Those things called mountain bikes! With my exams out the way I can finally have my life back. 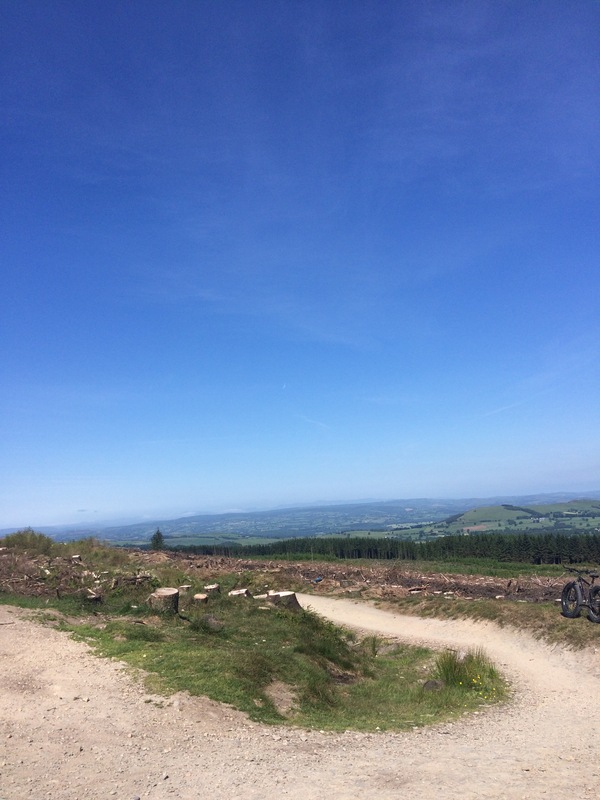 Saturday morning was the first time I’d got out of a car at Llandegla to be hit by hot and not cold temperatures, and there was a fairly big group of us to get to the top! A steady climb to the top was followed by a few surprised faces. The trees had gone! No longer is there a tree lined start to the descent, but instead open hillside scattered with tree stumps. With it being such a clear day, it opened up a new view from the top that was pretty special. It did mess with my head though…I couldn’t figure out which part of the trail I was on . It was such a relaxed ride where I could catch up with everyone. There were new faces on the ride and familiar faces I had a lot of catching up to do with! I always feel guilty for not seeing them more, but nothing ever changes when I do see them! Apart from the fact one has a super cute baby, who I hope is enjoying their first Father’s Day. And the loveliest couple ever having lots of holidays planned. With one of those holidays being Whistler…I’m a little jealous! We would sometimes spilt up to do different sections of trail, but meeting up at the cafe to have burgers meant we could re-group again. For £6.95, the BBQ is a bargain as not only is there quality meat (I’m sure there’s veggie options too!) you can pile your plate with salad. On busy weekend days, there’s less waiting for your food too. It’s a no brainer really. This is only a short post, but how can you not write about such a beautiful day? I could catch up with friends and my brother. 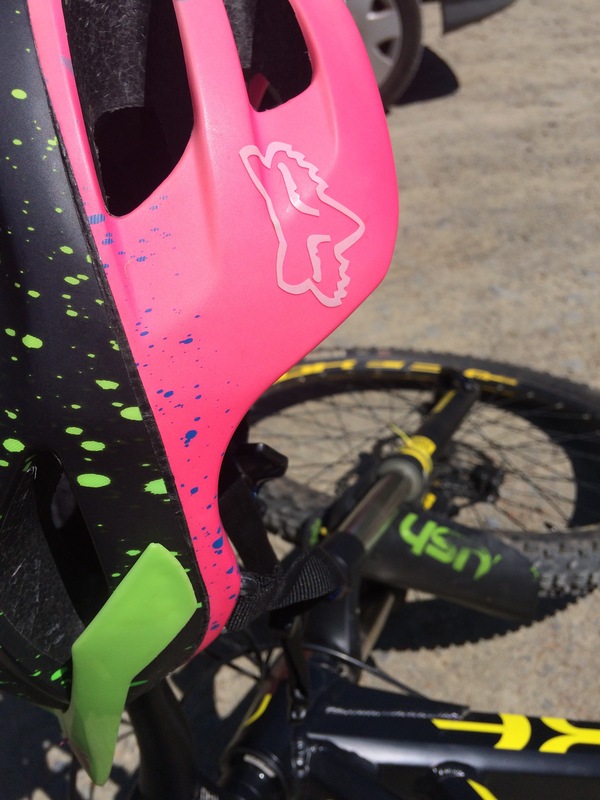 It was just overall a good day and what mountain biking should be. Friends and fun times. However, Ryan’s morning ride wasn’t so stress free after breaking a spoke. Luckily it happened in Llandegla village, so I could give home a lift home! I hope you all had a lovely weekend and didn’t get some rather dodgy tan lines like me! Including some elbow pads tan lines and a white X on my back. For the places I did remember to put sun cream on though, the Nivea Protect and Refresh sun spray worked really well. And it was only Factor 20!